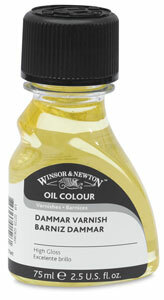 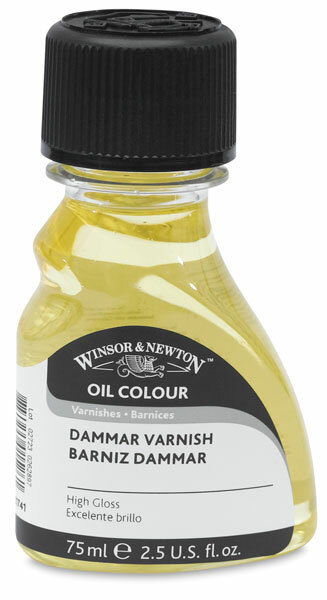 Winsor & Newton Dammar Varnish (the American spelling is "damar") is a traditional, pale yellow varnish that dries quickly to a high gloss for use on oil and alkyd paintings. 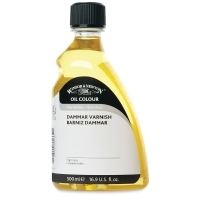 It is traditionally used on prints and maps. 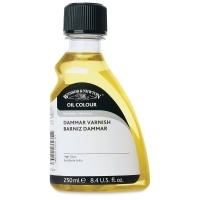 Dammar Varnish tends to darken with age.